Choose from a range of health, beauty and relaxation treatments at the London’s Spa locations. 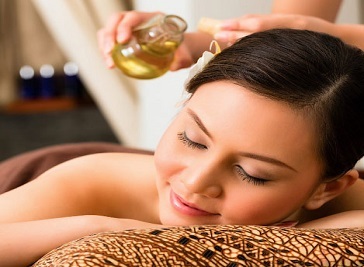 Day spa treatments are specially tailored to specific types of restorative recovery and relaxation. The treatments available vary between our locations, but each spa location offers a diverse range of treatments administered by friendly and fully qualified therapists who have received in house training. Reflexology teaches that every part of the body, from head to toes, heart to gall bladder, is mapped out in miniature on the feet. By touching the correct access points on the feet, it is possible to affect the corresponding organ, gland or area of the body. Battersea Nails & Beauty is a busy, luxury salon, about 5 minutes walk from Clapham Junction station serving surrounding areas in South West London with a relaxed professional atmosphere where high quality treatments with luxury brands, professional service and high customer satisfaction comes as standard. Thai Blossom In South West London. We are all professional, qualified and experienced therapists from Thailand, offering the best Thai Massage at the most reasonable price. We are a unique personable, people friendly beauty salon. We pride ourself in offering quality satisfactory services. We offer a wide variety of salon, spa aesthetic treatments using top quality brands catering for your specific needs and concerns using OPI for our manicures and pedicures, Dermalogica Facials, Harley Hot and Warm Wax(for Male and Female), Skinbase Microdermabrasion.